Veteran Centennial girls basketball coach Karen Weitz couldn’t have drawn up a better start Friday. Freshman Justice Ethridge left alone in the left corner, just steps in front of archrival Bishop Gorman’s bench. One perfect pass, a release, three points. 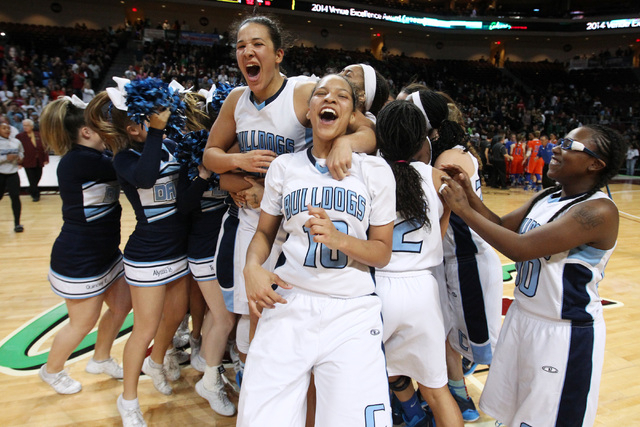 Ethridge buried a 3-pointer six seconds into the game, and the Bulldogs held a lead the rest of the way in a 65-52 victory over Gorman to claim the Division I state title at Orleans Arena. 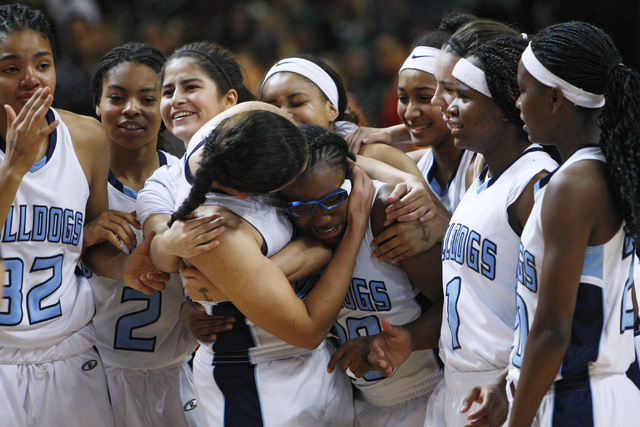 It’s the seventh state crown for Centennial (31-2), which last took the title in 2011. Centennial scored the first seven points, and much like the teams’ meeting last week in the Sunset Region final, Gorman kept battling back. But unlike last week, when the Bulldogs needed overtime to pull out a 69-65 victory, the Gaels never quite caught Centennial. “We thought if we could get out to a good start, that would be important,” Weitz said. “This is a good group of kids. They have worked really, really hard in the last month. They bought into everything. They just wanted it. 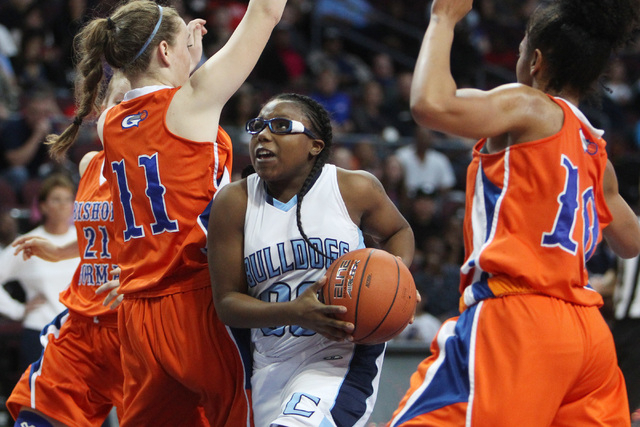 Gorman sliced Centennial’s 28-20 halftime lead to 30-26 on Raychel Stanley’s basket in the paint with 5:23 left in the third quarter, but Centennial countered with a 12-4 run. The Gaels pulled within nine points in the fourth quarter but had no answer for Ethridge, who scored six of her game-high 19 points in the final quarter. 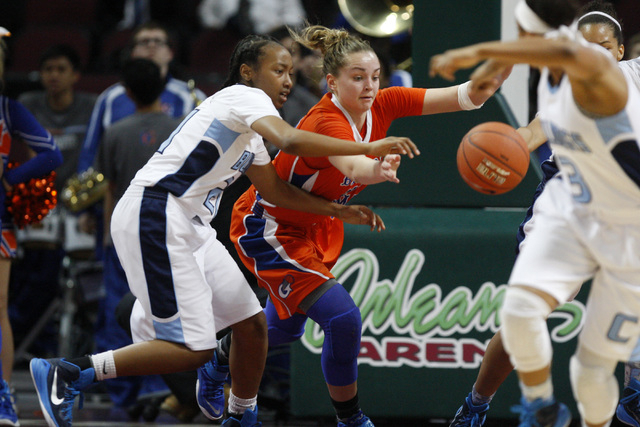 Gorman (24-6) had trouble finding consistency against Centennial’s pressing, trapping defense, committing 23 turnovers. 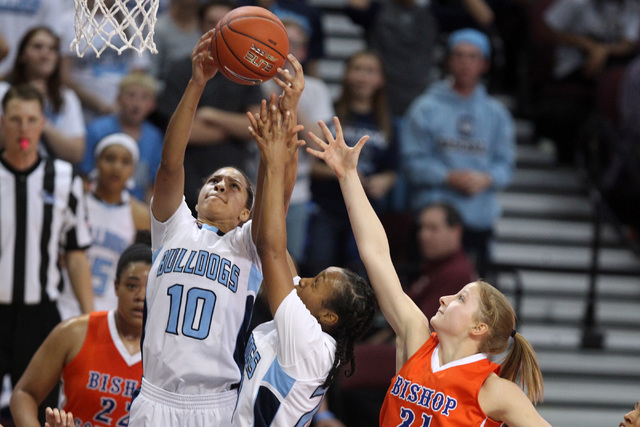 Seemingly any time the Gaels found a spark, the Bulldogs would force a turnover and cash in. 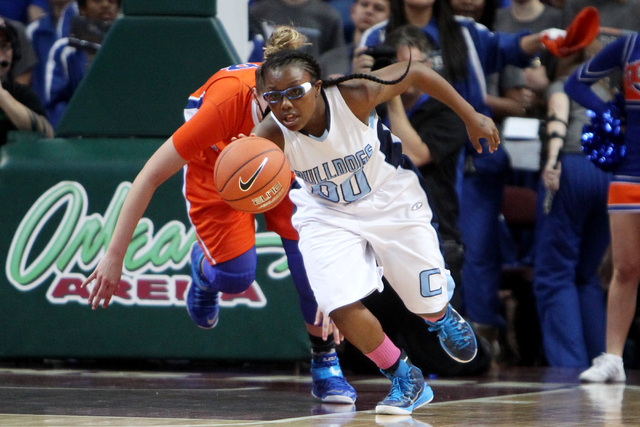 Centennial scored 22 points off Gorman turnovers. Jayden Eggleston scored all 10 of her points and grabbed 11 of her 14 rebounds in the second half for Centennial, which danced around foul trouble to Ethridge and Karina Brandon, the team’s only senior. 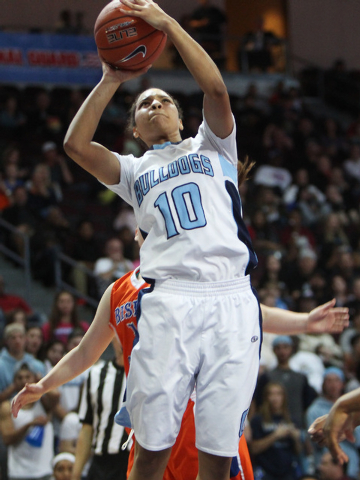 Ethridge collected her third foul with 5:08 left in the second quarter, but played most of the rest of the way. She scored 11 points in the second half. Brandon, a 5-foot-9-inch post who had eight points and eight rebounds, picked up her fourth foul with 1:34 left in the third quarter but still did well in defending Stanley, a 6-2 post. Stanley had 15 points and eight rebounds for Gorman. 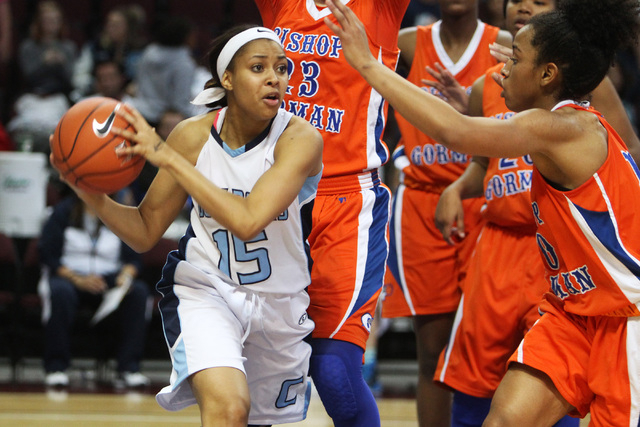 Madison Washington added 11 points and 15 rebounds, and Skylar Jackson scored 10. “They just played better than us today, and they deserved it,” Krmpotich said.